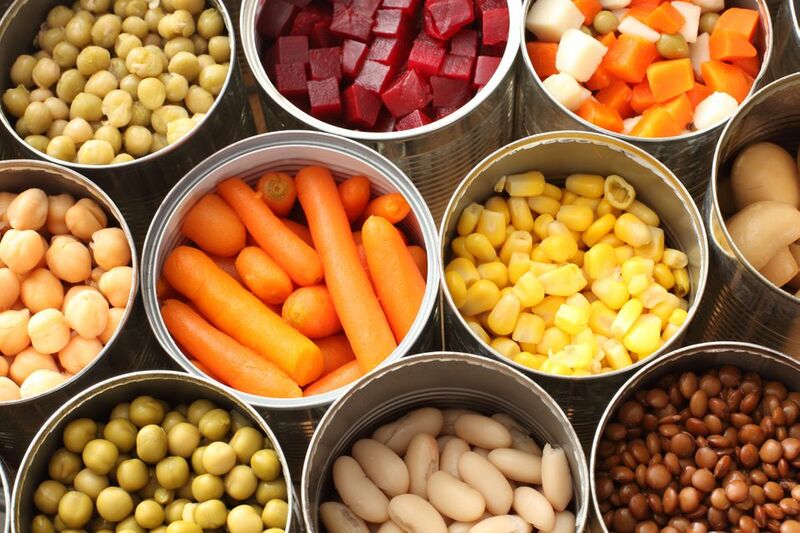 Studies show that canned foods are just as nutritional, if not more so than fresh foods. The current trend is pushing fresh, organic foods for nutrition and health, but truth be told, fresh vegetables are not necessarily more nutritious than canned. A study by the University of Illinois Department of Food Science and Human Nutrition found that canned fruits and vegetables provide as much dietary fiber and vitamins as the same corresponding fresh foods, and in some cases, even more. For example, canned pumpkin provides 540% of the recommended daily intake of vitamin A, while fresh pumpkin only provides only 26%. Fresh foods begin losing vitamins as soon as they are picked, and often sit in warehouses or in transit for as long as two weeks before they find their way into the market to sit even longer waiting to be purchased. Fresh fruits and some vegetables are harvested before they are even ripe and depend upon time and other means to reach the ripened state. Canned foods are harvested at their peak of ripeness and normally cooked and processed from the source within hours, thus preserving more vitamins than their fresh counterparts. Over 1,500 food products are available in a canned state, lending convenience and diversity to those with a busy lifestyle. The sodium content in commercially-canned foods has been significantly reduced, up to 40% over old canning methods. Most canned foods are also now available in low-salt, no-salt, low-sugar, and no-sugar preparations for those with special dietary needs and/or those who want a more natural flavor. Is a Rutabaga and a Turnip the Same Thing?